Non Surgical Facelift or Surgical Facelift? Home » News » Non Surgical Facelift or Surgical Facelift? Most of my clients who enquire about the non surgical facelift have considered the surgical route, but for a number of reasons, don’t want to take that step. They may not be ‘ready’. They may not want to explain to work colleagues, family or friends why they’ve had surgery for fear of being judged! They may simply not like the idea of surgery. However, although nothing can quite replace the surgical option, you can gain huge benefits from the non surgical route with beautiful results. Q. 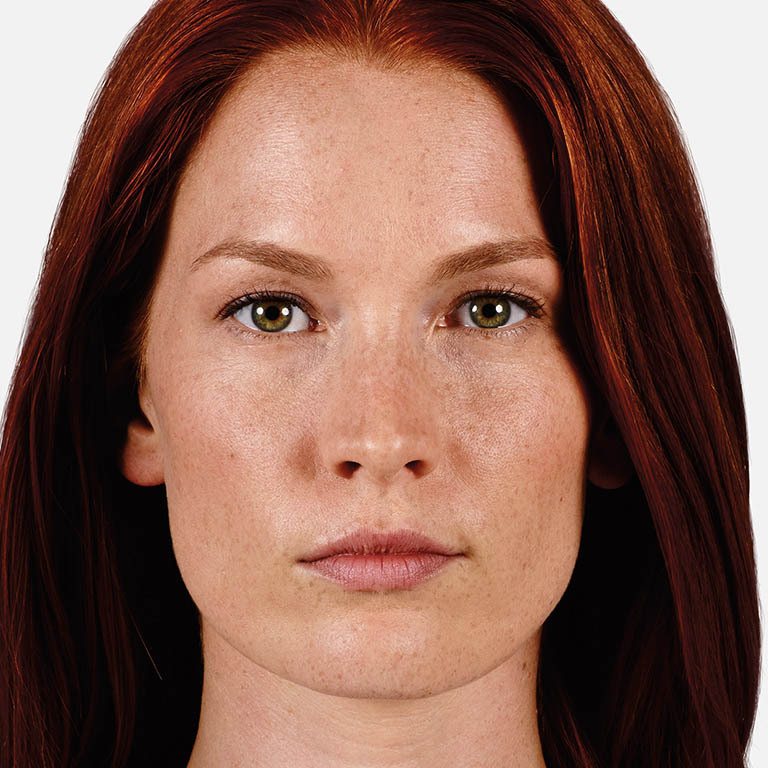 Who carries out a non surgical facelift? At Changes we only use doctors or dental qualified practitioners to carry out treatment. The most important quality whatever the qualification is a practitioner with a good eye, sound knowledge, great skills and most importantly an excellent assessment of your face!! Q. 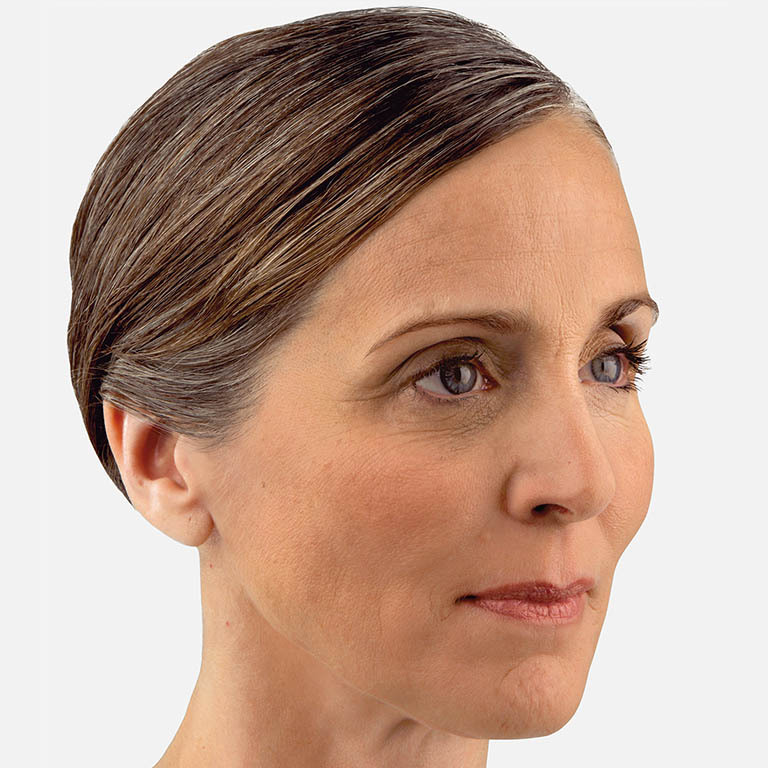 Why do we seem to notice the lines & wrinkles in our face & neck more than anywhere else? Well, for a start, we look in the mirror at our faces more than any other part of our body! 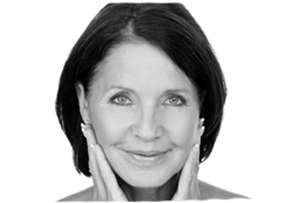 As we age, we lose volume & elasticity in our face & neck. Gravity doesn’t help and changes our face shape making us look a little heavier on the lower face. Our jowels may be saggy. Neck shows lines or crepiness, eyes can hollow, eyelids sag, mouth turns down. 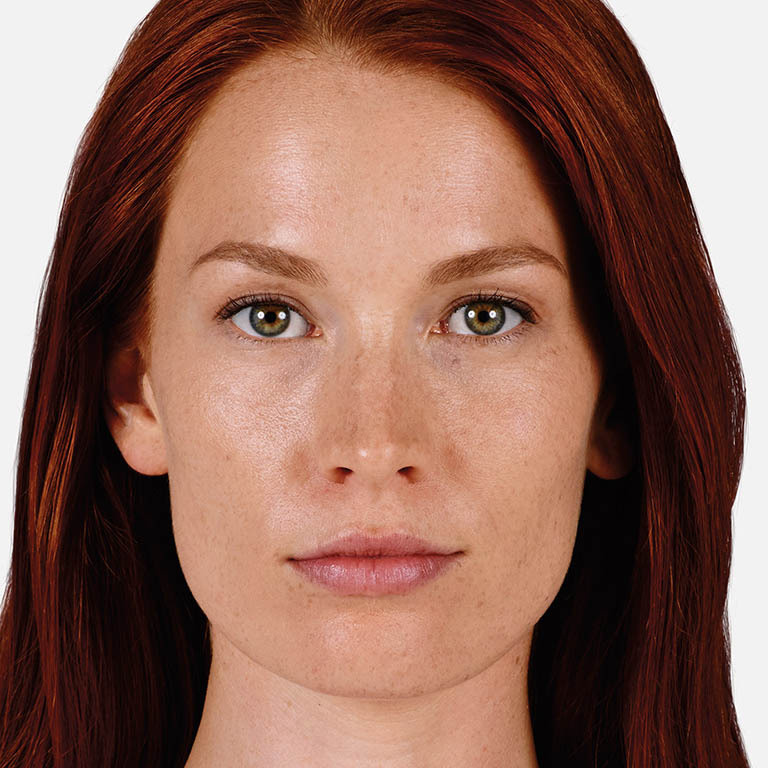 It all sounds a little depressing but differences can be made and beautiful results gained with a non surgical facelift using a combination of treatments. Q. 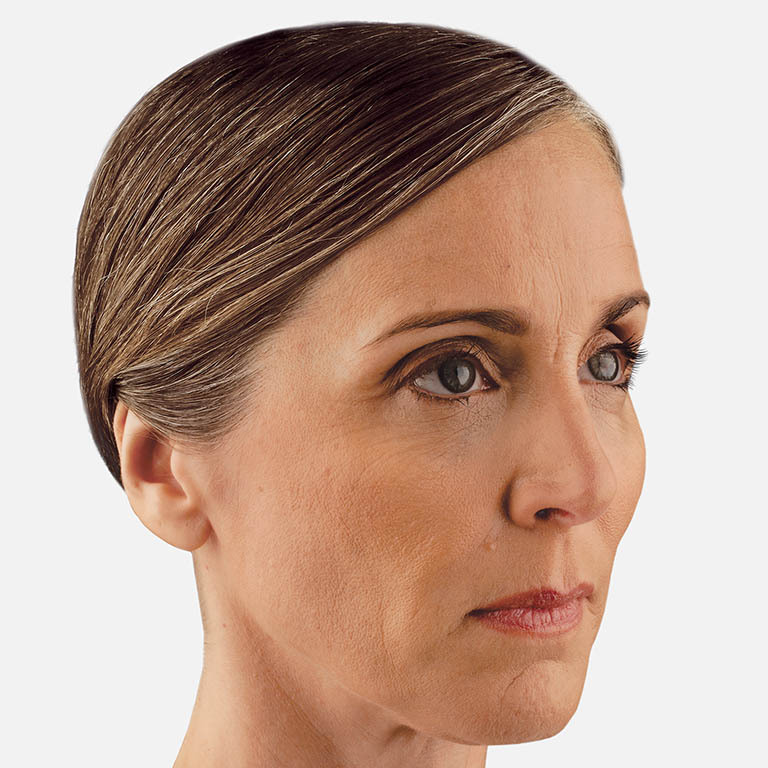 Is it our just our skin that ages? So our skin loses elasticity and sags but our bones also degrade and age. This results in hollowing in many areas, particularly around temples, eyes, nose to mouth and jowels, causing nasolabial folds, marionette lines perioral lines and periorbital lines. Q. How much is a non surgical facelift? A non surgical facelift can combine treatments from radio frequency facials, skin needling facials, mesotherapy, chemical skin peels, use of great skin care and administration of injectable wrinkle products such as botulinum toxin A (Botox) and dermal fillers. Prices start from £69 for clinical facial treatments. If my client is looking to see results instantly our doctors suggest a combination of Botox and dermal fillers. This is not a one area treatment. 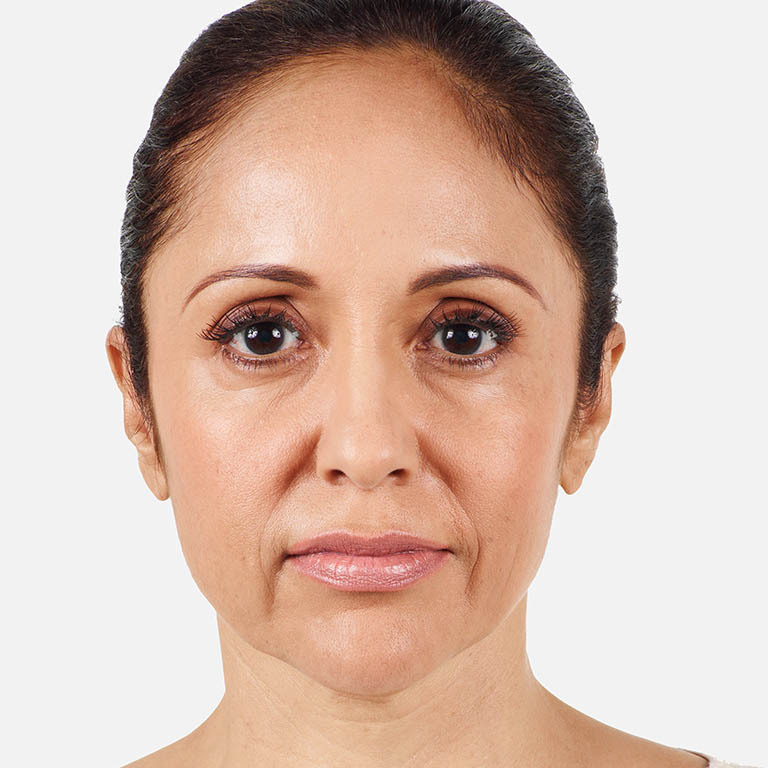 A complete assessment of the face and neck is made with placement of the fillers used to restructure and recontour, and volumise in key areas. This treatment can give great outcomes at around £999 and can cost more than £2000 for some clients. Q. How long before I’m back to work? Most treatments used for non surgical face lifting are minimally invasive, resulting in a little pinkiness but back to work the next day. 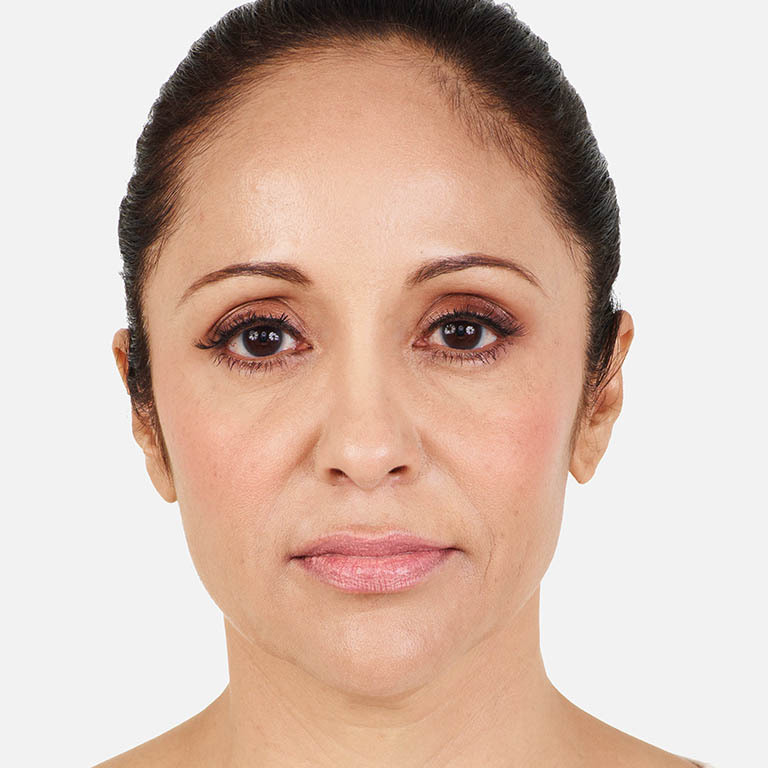 With a full face & neck lift using multi point face lifting fillers, there may be a little bruising and swelling but downtime is no more than a few days in most cases. A good analogy used by one of my doctors is with a table cloth covering a table: the table legs are getting smaller so the tablecloth is starting to sag. The aim is to raise the table legs to allow the tablecloth to sit more smoothly on the table! This is what we do with fillers. We use volumizing, restructuring and contouring products to rebuild our table legs – the bone and ‘super structure’ needed to retain or build our face shape.